In the lifecycle of a modern car, you have release/birth, mid-cycle refresh, and replacement/death. The birth is exciting, because it's not gross like animal birth, and because the car is fresh and the manufacturer usually spends millions convincing you it's the perfect car to go Brooklyn hat shop hopping with your millennial BFFs. But the mid-cycle refresh is usually the best time to buy the car. This is when all the early manufacturing glitches have been worked out, and the automaker gets a chance to refine the styling and tweak the features. That is, unless they make a royal mess of it and just go about ruining what was a perfectly fine car. Or even a perfectly perfect car. Take, for example, the case of the Aston Martin Rapide. It was getting on (by Camry, but not really by Aston standards), about 4 years into its life and Aston decided they ought to refresh it. So they gave it more power. Great! But they also gave it the gaping maw of 14 year old boy who's shocked and appalled by having just seen boobies for the first time. Or something else similarly angry and simultaneously slack-jawed. 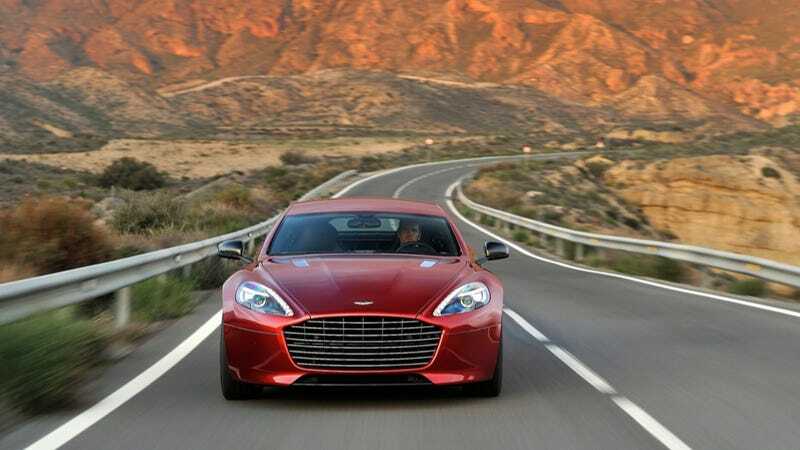 So the Rapide S is one way to ruin what may well have been one of the most beautiful cars ever made. What are some other, more or less extreme versions of automakers just really nailing it on the refresh? And by "nailing it" I mean totally and royally screwing it up. Take to the comments and let loose.